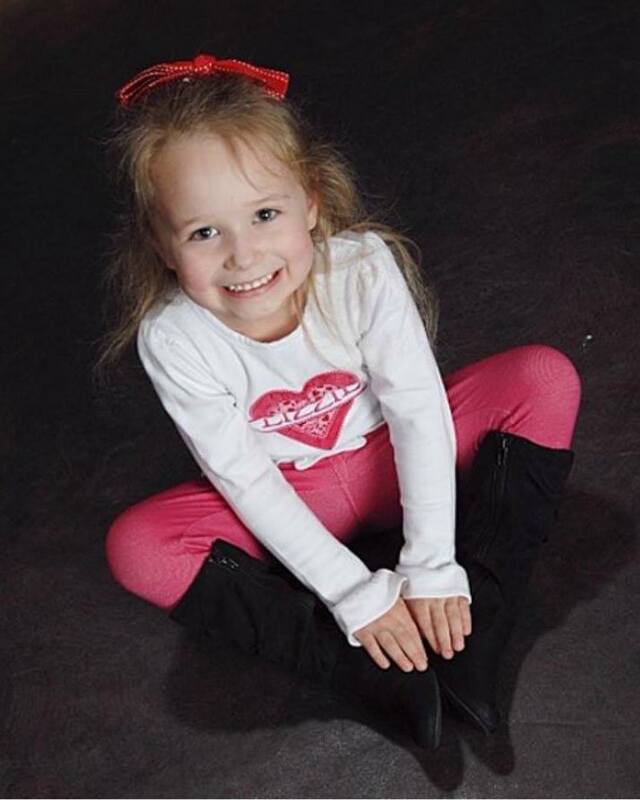 Do you give gifts to your kiddos for Valentine's Day? My husband has always given the kids a little something for love day. He likes to show us all how much he loves us regularly, but Valentine's Day has always been his special holiday. Hot new wearable collectibles! Each Wear’ems jewelry box comes with two super stretchy adorable characters – one that can be seen and one that's a surprise! Can be worn as rings, hair ties, or they can decorate pencil boxes, backpacks or anything. Collect ALL 24 and make your own unique fashion statement! Peppa Pig Valentine's Day Friendship Exchange Includes Teacher Card Lollipops. Valentine's Day Candy Exchange for School Parties! 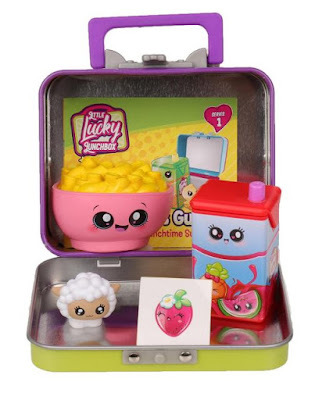 These cute culinary collectibles come with two blind-packed Foodie Friends – each with another surprise hidden inside (adorably delicious Little Foodie Friends or Stickers. Mix, match, and trade the Foodie Friends to create the cutest little menu around! Each Little Lucky Lunchbox includes 2 Foodie Friends, 1 Little Foodie, 1 Sticker, and 1 Collector Guide. NEW versions of the best-selling interactive plush pets with wrap-around tails are here! Pomsies are interactive with two modes of play – Virtual Pet Mode and Freeze Dance Mode. Pomsies can have up to 50 different reactions with different colored light-up eyes and cute sounds. Pet the three touch points on their head, nose and mouth to nurture your Pomsies! The special freeze dance mode lets you play together with your friends. Wave 2 features new animal characters – Lulu the puppy, Sydney the koala, and Zoey the dragon. Wave 3 includes Bubblegum the puppy, Winter the unicorn and Kiwi the koala. Make sure to check out Pomsie Poos. Your favorite Pomsies are now in miniature size! 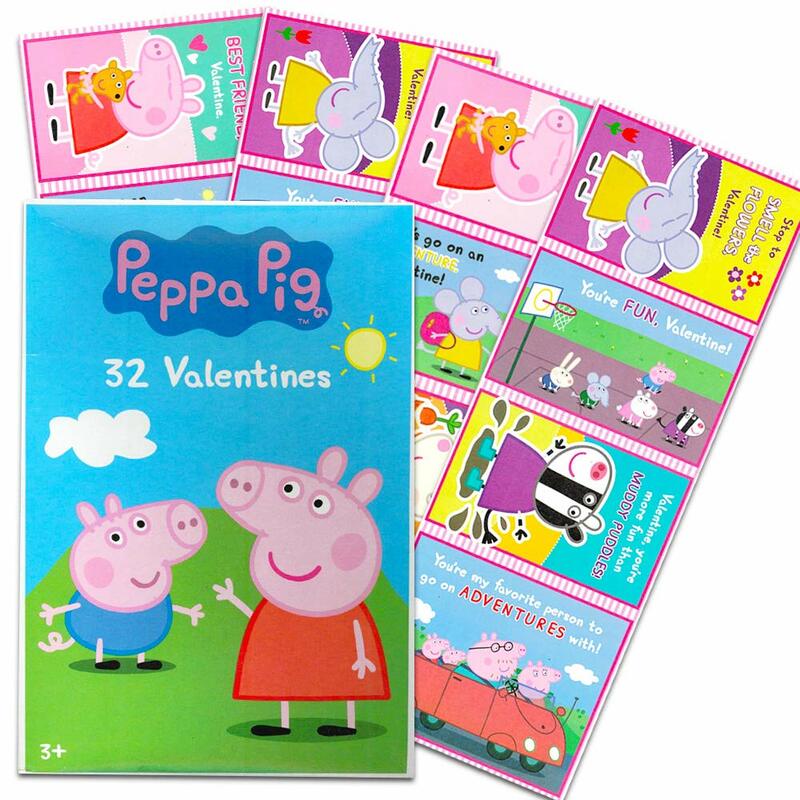 Peppa Pig Valentines Day Cards for Kids Toddlers -- 32 Peppa Pig Valentine Cards (School Classroom Boxed Pack). 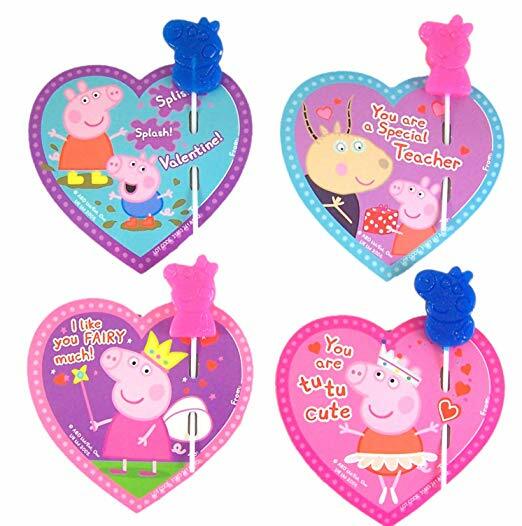 This boxed Peppa Pig Valentine card set features designs with favorite Peppa Pig characters. 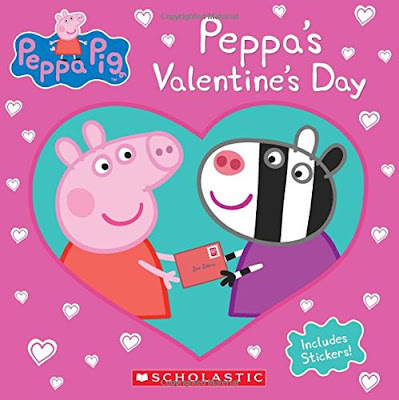 These Valentine cards for girls and boys alike are the perfect handout for Valentines Day parties. 32 Valentines -- enough for most preschool or elementary school classroom settings. Adorable, collectible stuffed animals wrapped and hidden in burrito blankets that kids can unroll and discover! 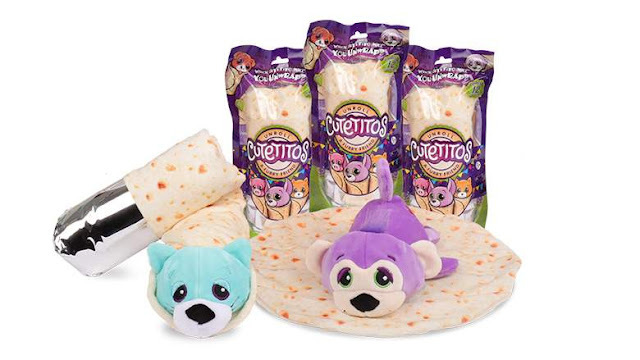 Based on the current trend of pets rolled up in blankets like burritos, now kids can collect all twelve different Cutetitos (including some super rare ones)! Each uniquely-wrapped burrito comes in large a Blind Bag, which is so exciting to open and unveil which Cutetito is concealed inside – it could be a Slothito, Puppito, Bunnito, Monkito or others! More fun surprises include finding the Cutetitos’ personality “Hot Spot” (mild, medium, hot or super spicy), their birthday and favorite “quotito”. Do you like to give little gifts to your kids for Valentine's Day? Who comes up with all these cute little toys, lol?? 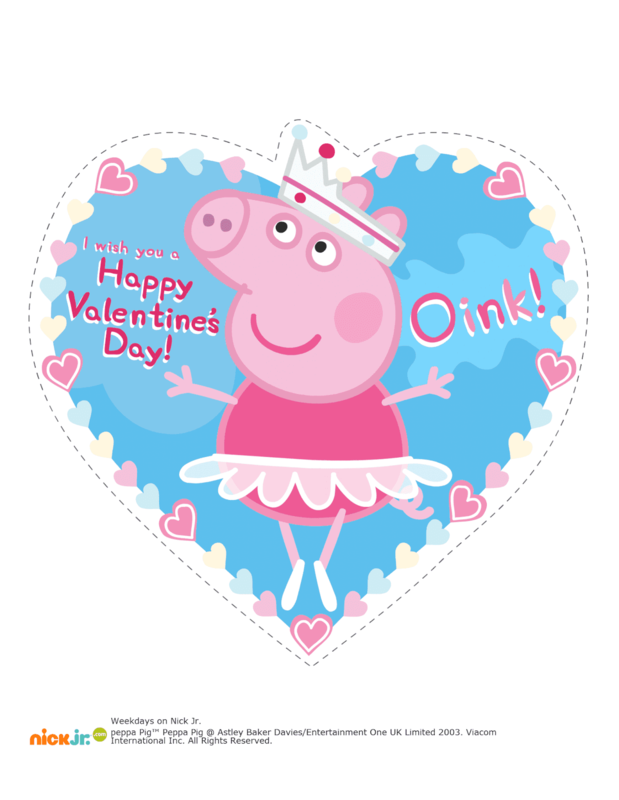 The Smash 'em Wear 'ems, the Cutetitos, the Pomsies...those are adorable, and Peppa Pig is always a hit. What a cute post and your little ones are adorable! Thanks for the printables! These are some great Valentine’s Day gifts! 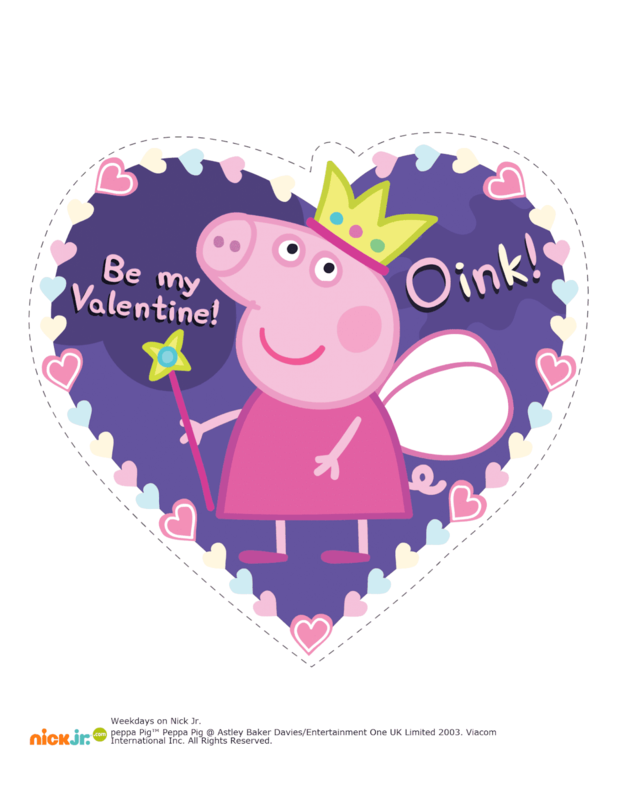 My grandkids love Peppa Pig and her family!